No matter how much you love travelling, you’ve gotta admit that there are few feelings like that you get when you set foot back on home turf after a spell away. Everything’s suddenly familiar again, and the surroundings just make you instantly comfortable – so the stresses of your travels quickly melt away, and you’re ready to face your regular routine, no matter how slowly you feel the need to ease yourself back in. Well perhaps it shouldn’t be such a surprise that your pets will be feeling just the same – whether they’ve been staying over with grandmom and grandpop, living in boarding kennels, or you’ve had them transported by pet courier to your summer home so that they can enjoy the benefits of a break too. Don’t be surprised if your cat is disinclined to explore after he’s returned home from a vacation – he’ll just need a little reassurance that you won’t be upsetting his routine again any time soon! Should They Go… Or Should They Stay? Travelling with pets – and indeed, whether or not you should take them with you to your summer retreat – is a touchy subject in itself, and the Humane Society of the United States says there are arguments either way. Increasing numbers of hotels are marketing themselves as ‘pet-friendly’, but that doesn’t take account of the potential stress your four-legged friends might face by being put into surroundings which are massively different from what they’re used to. In many cases, thanks to services such as Citizenshipper, it isn’t so much the transportation of your furry friends that causes the headaches, as the considerations of how they will adapt to a temporary new environment – with potential changes in the climate, and sleeping and feeding routines. As they’re very territorial animals, cats are also less likely to adapt well to change than dogs. So if you want your feline companions to enjoy a summer or winter change of scenery, it’s best to ease them into it gradually. If it’s feasible for you to start by having them transported to your alternative residence for a week or two to begin with, that will likely act as a suitable transition period. How Can You Make The Move Easier For Them? 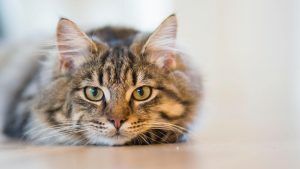 We suggested earlier that most pets appreciate plenty of familiarity in their surroundings – but that doesn’t mean that they can’t be successfully moved between locations to be with you. So if your work takes you around the country and you have to be flexible, working from different locations as required, that needn’t preclude you from successfully bringing up a cat or dog. And the advent of services such as Citizenshipper has fulfilled the need for proactive and flexible means of transporting just about anything to and from just about anywhere, to fit in with all individual needs. Transportation of pets, though, demands extra care and attention to detail. That level of care is what sets many of the drivers who take on work through the Citizenshipper platform from many larger, specialist couriers. When it comes to arranging a successful move for a pet who might initially be a little nervous at the prospect, good organisation is key. You can trust our drivers (and their support teams, as many often carry out pet transportation duties with some on-board help) to be well equipped, and to plan your pet’s move taking all your needs on board. What makes a big difference to how your furry friends settle back in after returning from a vacation is that they feel quickly ‘at home’. So you should resist the temptation to carry out a makeover of their living arrangements while they’re in transit – this is sure to spook them, and make it more difficult for them to settle in, even if they’re already familiar with the place they’re travelling to. Give them their regular bed, and make sure that it’s kept where they can quickly find it, and then be sure that they know where to go to find their food and water. Once these most basic needs are satisfied, your pets will soon start to overcome their reticence. Drivers who work on pet transportation also know the importance of letting animals have a few familiar possessions around them to help them take their minds off the fact that they’re on the move, and reassure them that they’re being taken somewhere safe and friendly. 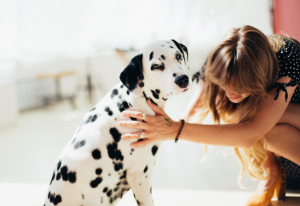 When you’ve been on your travels and have returned home, your pet will be much happier to be with you if you’ve made the space ready for them. Pets build their whole relationships with us around sets of familiar events, such as meal and walk times. That makes transplanting them to different surroundings something of a challenge – but it’s one which is successfully met by many thousands of people every year, on a permanent or temporary basis. The key is to retain the structure to their days which they’ve gotten used to, with meal times consistent, along with when they can expect ‘walkies’ and sleep times. Of course, like us humans, their body clocks might initially offer some resistance to change – especially if you’re transiting across time zones – but keeping the essential things in place in the order they’re used to will help ease the transition. As sleep is such an important part of most animals’ lives, this is one activity which you’d do well to disrupt as little as possible. So where you can, let them rest when they want to, and work feeding and exercise times out around this basic need. As far in advance of the journey as possible, try to get a breakdown of your pet transporter’s planned schedule. Many will spend quite some time working this out – especially if they’re taking multiple bookings and consolidating a number of trips into one. They’ll likely welcome your interest, and place a great deal of importance on good communication with their clients. So once you’ve gotten your pet back home, give them plenty of attention and affection – but don’t stifle them – and try to take your lead from them on exercise and meal times. For example, we have four cats, who, most of the time, have gotten used to being fed in regular time slots, three times a day. But that has to change when we’re away and we bring in a cat-sitter, who can only visit once a day, meaning that they get ‘only’ two meals – and both of these are served up at the same time, leaving them to judge when to eat, and, most importantly, not to overeat. They clearly get a little confused by this, yet are perfectly able to cope with it for short periods. So as soon as we return, it’s one of the first things we make sure to reinstate to its normal pattern. It’s reassuring for them, signalling that the period of change in their lives is over, and they can then get on and re-establish the regular order of everything else that’s important in their lives. By using a reputable pet transportation service, you can be assured that the people you hire for the job care about what they do. But some outside guidance, from a veterinarian, can also reassure you that your pet will be fine to travel, and won’t suffer any ill effects from the journey. Even if a pet is taking medication, a caring pet transporter will take all the details, and if necessary will devote time to maintain that regime. So if you’ve any special requirements when you book transportation for your pet, you should be sure to discuss this when you make the arrangements. Then, provided you play your part by putting all their regular facilities – i.e. food, toilet, bed – in place ready for their arrival, you should make the transition between homes an easy and comfortable one for your pet. This entry was posted in Pets and tagged acclimatization of pets, Pets. Bookmark the permalink.